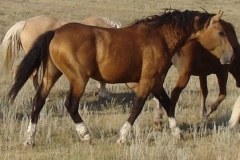 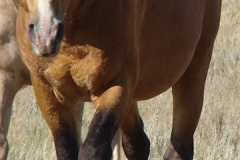 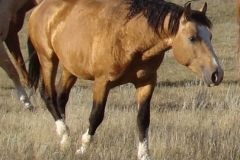 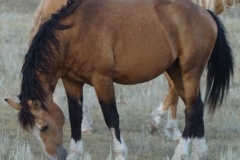 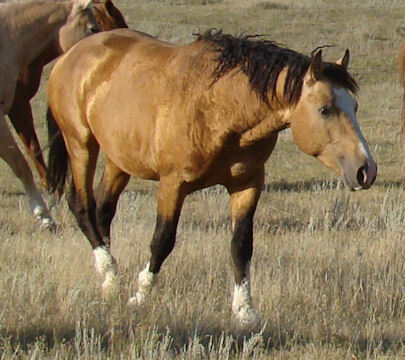 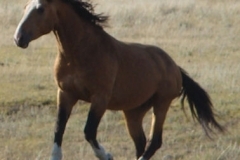 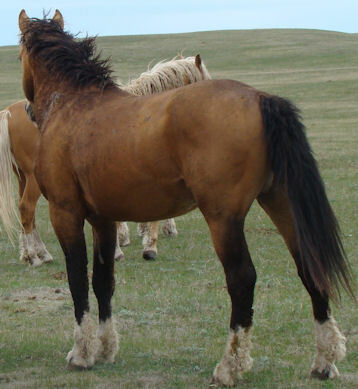 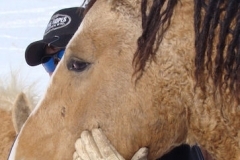 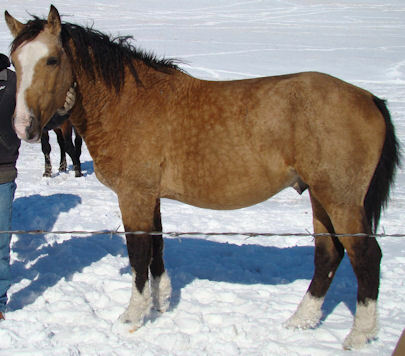 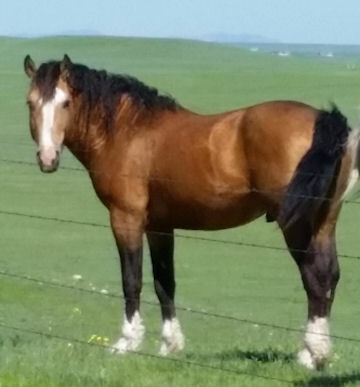 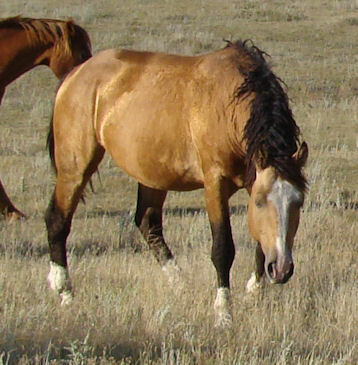 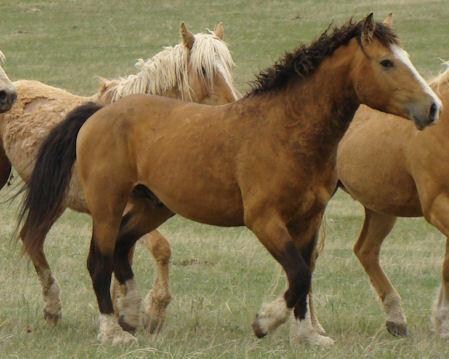 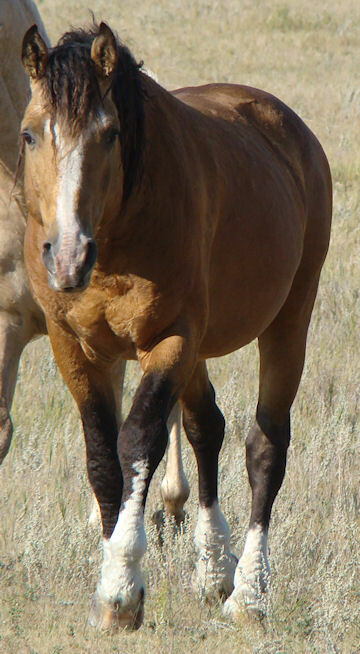 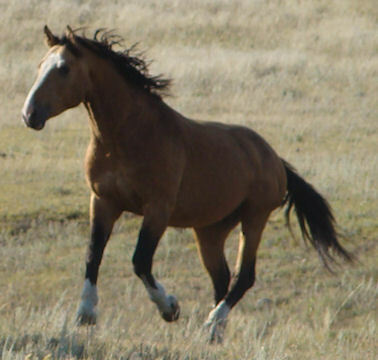 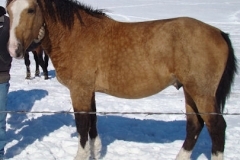 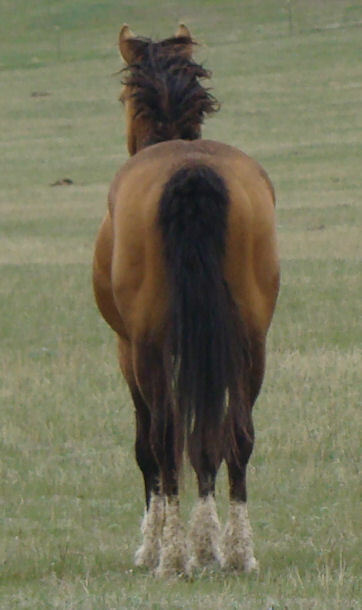 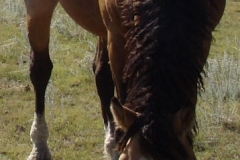 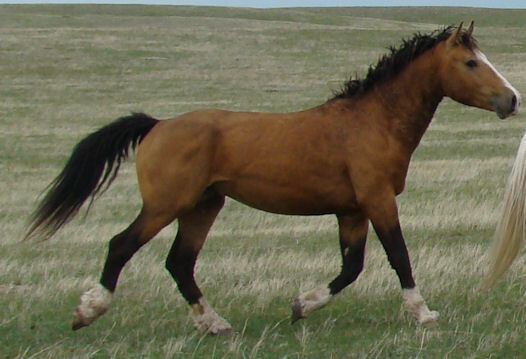 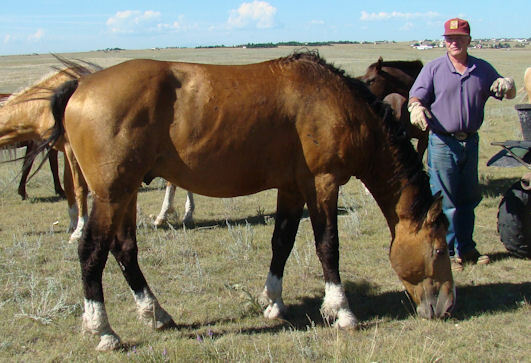 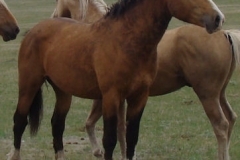 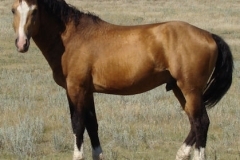 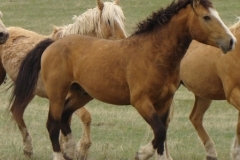 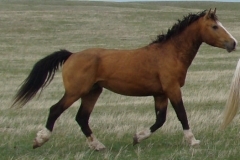 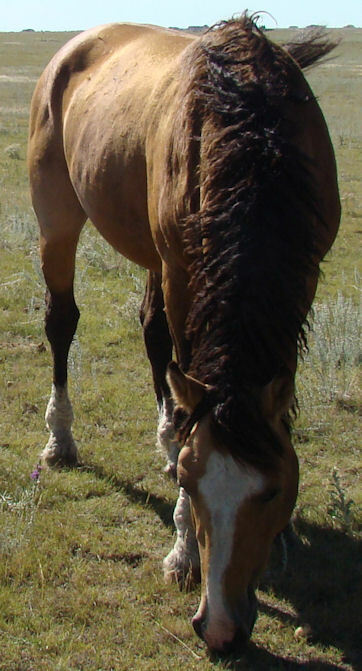 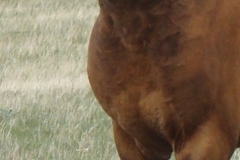 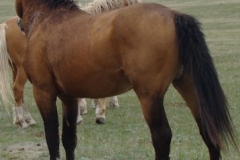 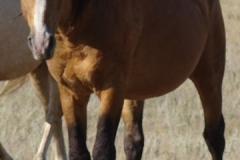 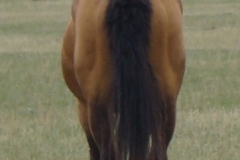 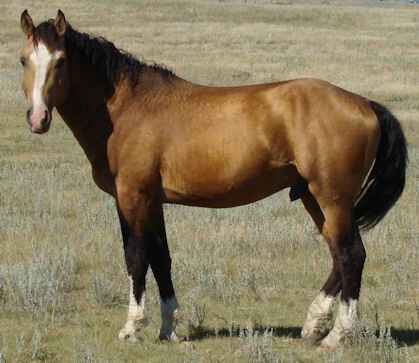 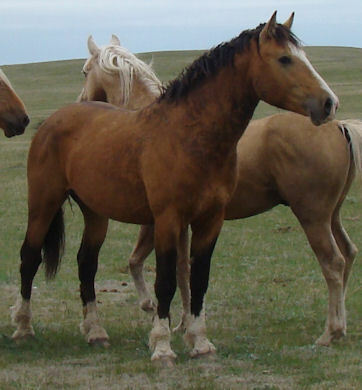 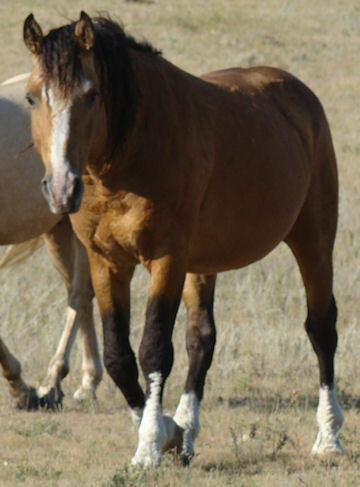 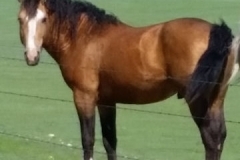 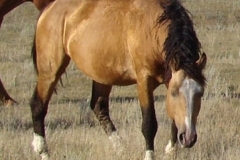 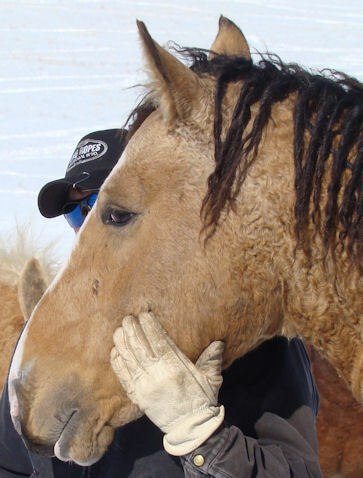 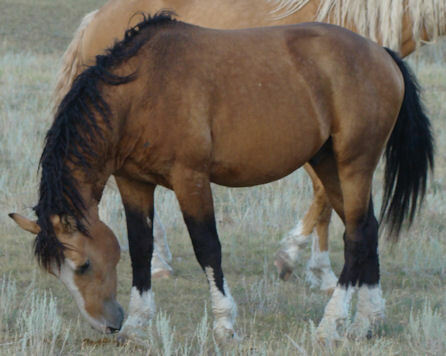 Quirt, is a 2006 colt out of our wild caught one-eyed mustang mare by Bit-O-Wy Mellow. 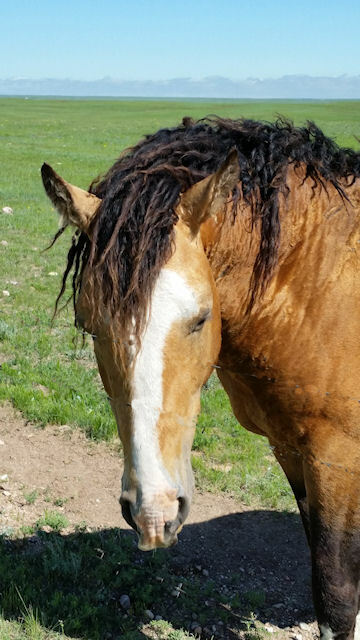 This family has a history of impressing all who meet them. 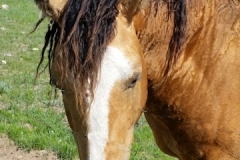 They are beautiful not only on the outside but also on the inside with their calm acceptance of new things, eagerness to please and just enough sensitivity to give them style. 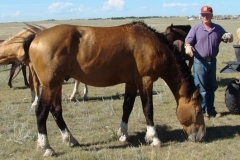 While he is not as large as his sire Mellow, Quirt’s gentleness and color helped us in our decision to use him as our new herd sire.